It is widely agreed empowering women to take control of their lives and sexual health is a key strategy for tackling gender inequalities and HIV/AIDS, but to date this has been exceedingly difficult to achieve. 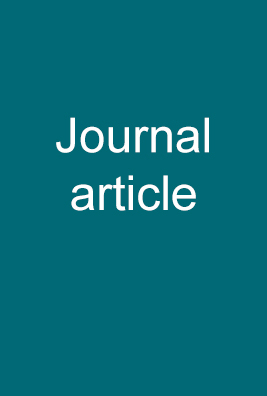 This paper explores how a sample of South African media represent the relationship between gender and HIV/AIDS in the interests of understanding the symbolic context in which HIV/AIDS programmers conduct their work. The starting assumption is that representations of gender and HIV in the symbolic sphere provide the context within which people charged with designing and implementing women’s empowerment interventions government officials and NGO programme managers construct understandings of this relationship and how best to tackle it. Content analysis was conducted on four South African newspapers between 1 January 2007 and 31 December 2008. Newspapers selected are widely read by ‘‘opinion leaders’’; government officials and NGO programme managers. It is accepted that women’s empowerment needs to involve top-down and bottom-up approaches. Dominant media representations portray women’s empowerment as almost entirely a top-down process in which powerful actors are responsible for identifying and implementing women-focused interventions. Newspapers pay little attention to the need for the mobilisation of women via bottom-up programmes. Furthermore, while the media focuses on structural- and individual-level interventions, there is limited discussion of the importance of community-development interventions. Community-development interventions emphasise the need to build and support community-led responses to HIV. For women’s empowerment to be successful interventions need to be at all levels. Currently, much emphasis is placed on the need for ‘‘socially responsible’’ media reporting in South Africa that supports positive social development and social justice. Against this background, we conclude media representations of appropriate ways to tackle gender and HIV/AIDS are limiting in ways that undermine awareness of the need for community-led interventions to empower women. Crankshaw, TL., Voce, A., Butler, L.M., Darbes, L.